What Are Casket Veils Used For? Casket veils can also cover the coffin itself. A casket veil, also called a pall or mortcloth, is a veil that is placed over the corpse inside the coffin. Originally, it was set over the body to protect it from insects, heat and other debris. However, they are now used for their aesthetic value, and there are many different types and designs of casket veils. These embellish the display of the body itself during a wake or before a burial, and also grant dignity and respect to the deceased by covering the body with a beautiful garment. The highest-quality veils are made from silk, though they can also be made from lace, nylon, crochet or silk with a lace border. They are almost always transparent so that the body can be seen underneath. Lightweight, they generally run from $50 to $100 for an average-quality veil, but can run into the few hundreds to thousands for intricate lace or silk embellishment. 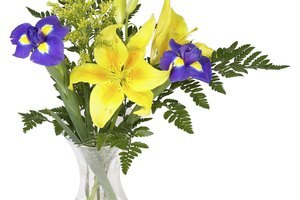 People generally choose pale colors for casket veils, but they are available in numerous colors, including blue, orchid, wine, navy, ecru, black or gray. Historically, the casket veil was used in Catholic funerals as early as the Middle Ages. It was traditionally black to signify mourning, but through time other colors were accepted as well. Veils are also used to cover the casket itself, so that expensive caskets and less expensive caskets with similar veils can be "made equal," rather than showing respective expense. The body is not generally buried with the casket veil, as it is often gifted to the congregation in memory of the deceased, or is kept by the family. 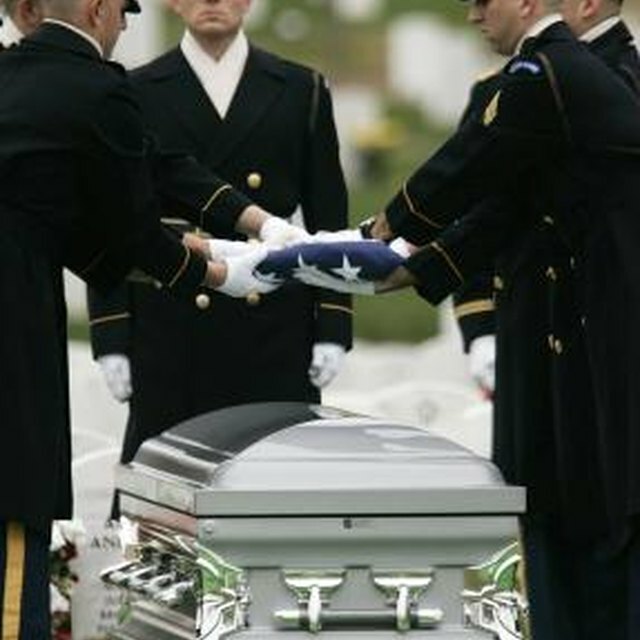 Flags can replace casket veils during military funerals. During Christian funerals, the veil is placed over the body and casket by family members. White is generally preferred, as a reminder of the baptism of the deceased. 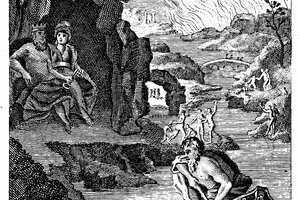 Dressed in white for his original baptism, the deceased is again covered in the same color for his passage into the next world. Christian casket veils are frequently embroidered with a cross, placed over the head of the deceased. 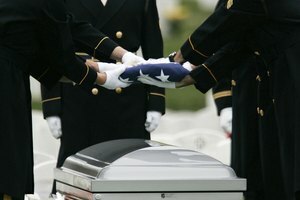 During Christian military funerals, families are allowed, as a substitute for the casket veil, to place a flag over the body and casket instead. However, nothing is to be placed over a veil or flag -- they must stand alone. 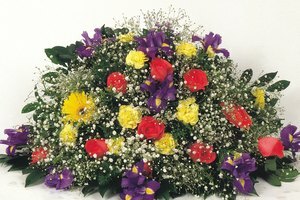 Funeral homes often provide different types of veils for purchase, as do online funeral retailers and other websites that sell individual creations by artists. Funeral catalogs are also available for choosing a veil, and you can often custom order one to your liking. The highest-quality veils are handmade, and they can be embroidered with the name of the deceased. They are available in different sizes, from smaller ones at 6 by 10 inches, to larger ones at 8 by 12 inches. They generally drape over the edges of a coffin. Jessica Hoffman is an art critic and social scholar. She is currently preparing a book on outsider art, and completing a Ph.D in the social sciences, focusing on critical cultural theory and indigenous issues. Why Is a Viewing Casket Only Half Open? Hoffman, Jessica. "What Are Casket Veils Used For?" Synonym, https://classroom.synonym.com/what-are-casket-veils-used-for-12086197.html. 29 September 2017. 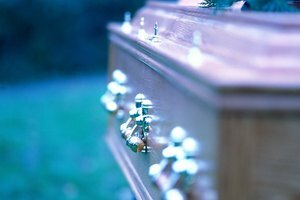 In Funeral Etiquette, Who Are Pallbearers?